Do you want to monitor all the activities of any BlackBerry, iPhone, Android, or a Windows smartphone? You can do it easily using PhoneSheriff. Using this tool you can monitor, locate, filter and restrict the activities of any smartphone device. PhoneSheriff, once installed on a smartphone, keeps running in the background in the stealth mode and monitors every activity on the smartphone. It records every text message, sent or received, every call, dialled and received, and all the photos and videos captured from the smartphone. It also tracks the GPS locations of the phone and stores them. All these recorded data can be checked later by using a secret interface in the phone or using a web panel. You can use this tools to block any phone number, application or a website on the phone. You can also track the current phone location by sending an sms command remotely. 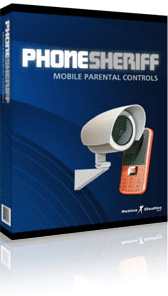 PhoneSheriff is a subscription based service. To check the current subscription rates, visit PhoneSheriff.com.